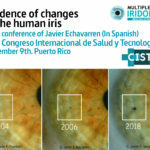 It is the title of the next conference at the “OUR” 18th Annual International Iridology & Integrative Healthcare Congress. Organized by the International College of Iridology. 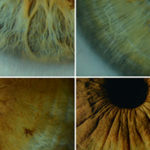 Interpreting and assessing the iris signs is the basis of Iridology. 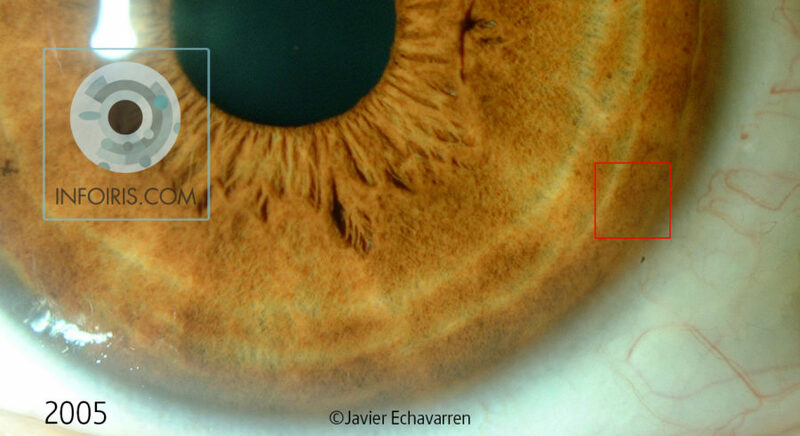 Many authors have described the different signs and marks of the iris, but the evolution of them has rarely been documented graphically. 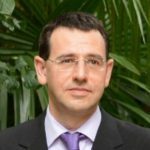 In the presentation we will see clinical cases in which these changes are clearly appreciated and which factors have favored their evolution. We can see a sample of these case studies in some examples that I have been presenting on the web. 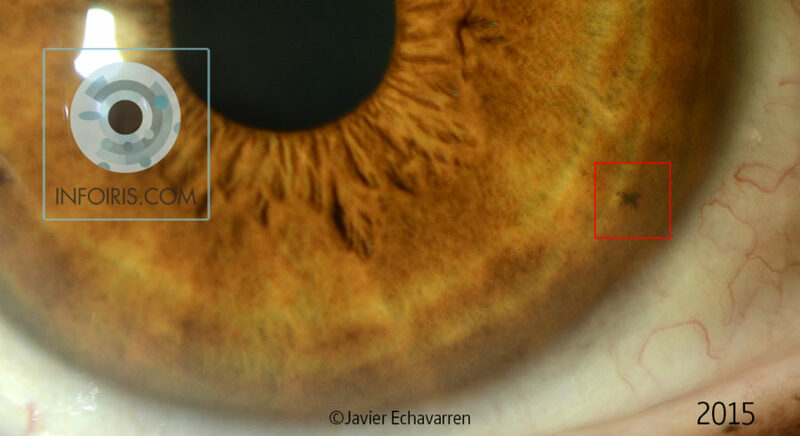 In this first video appears the sequence of the evolution of a Pigmentation in the right iris of a woman of 77 years. 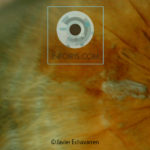 The second video shows a series of photos with the formation of a Stain on the right lung TA in a 46 year old man. 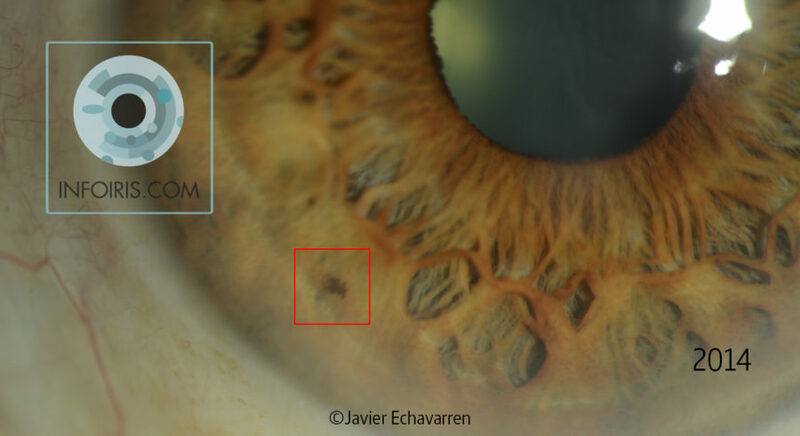 – New Stain in the Topographic Area of the spleen. 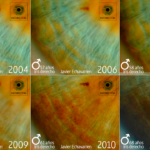 31 year old Woman We observed two overlapping photographs of 2005 and 2015 separated by a timeline. When we move the line we can see the changes produced in the course of time. The most significant change we see in the red square that marks the TA of the spleen where the Stain has developed. 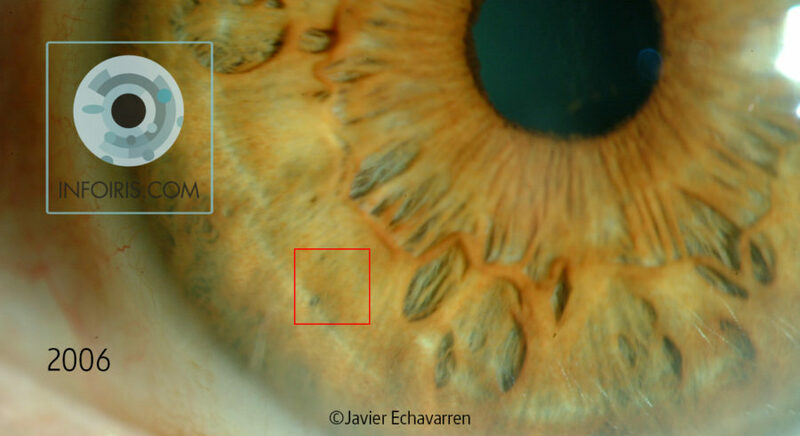 – New Stain in the Topographic Area of the liver. Female, 67 years old. 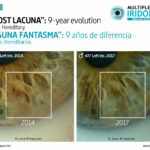 We see 2 photographs of the right iris of 2006 and 2014. Moving the line again we see the changes produced. In this case we find in red the TA where a new stain has developed. 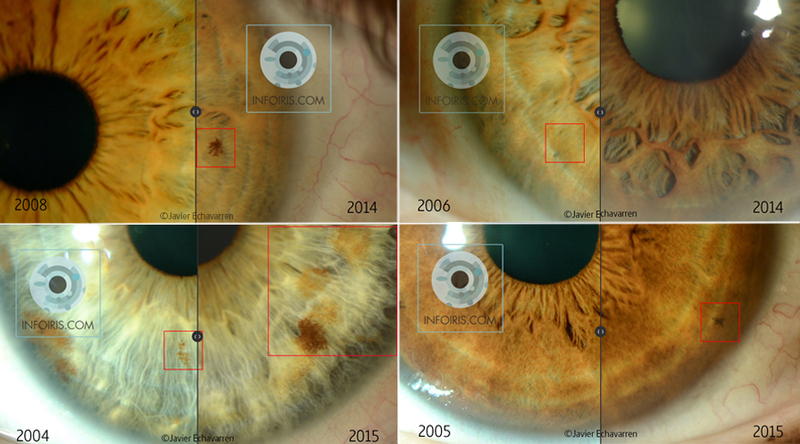 You can see other related articles by clicking on the category of “changes in the iris“.